Debuting at No. 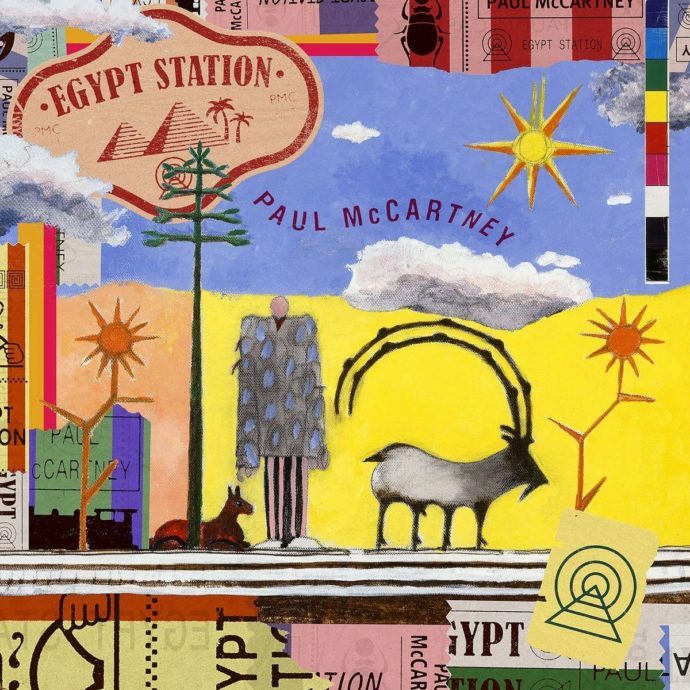 1, Paul McCartney’s latest album, Egypt Station, is sixteen tracks of theatrics, publicized by a surprise concert in Grand Central Station. Using samples, choral vocals, and mainly acoustic instruments, the album opens into “I Don’t Know,” an earnest and introspective tune. For the most part, McCartney sticks to his roots with Beatles-like simplicity and cleverness, but “Come On to Me,” with its big and basic, overproduced stadium drums and uninspired, repetitive lyrics stand out as the song rises and falls in a way that isn’t incredibly interesting. It seems as though McCartney had timelessness in mind throughout the recording process. Though some lyrics feel simplified, for the most part the album feels genuine. “People Want Peace,” is perhaps another iteration of Beatles-era ideology, “a simple release from their suffering,” comes off jaded. Though there is certainly some fat to trim, there’s a surprising amount of good content, and an unsurprising number of piano ballads. From “I Don’t Know,” to “Hand in Hand,” to “Despite Repeated Warnings”; McCartney solidifies his reputation by including all three. Rather than becoming another fading rockstar, making a living off of the same songs, McCartney continues to try to push the envelope of what is acceptable as pop music. The songs themselves are masterfully written; songs like “Dominoes” contain layered harmonies and acoustic instruments give much needed to the highly produced drums. “Back in Brazil” gives a nod back to Wings-era McCartney – experimental and juxtaposing folk instruments with electronic-sounding percussion and samples. A dry, traditional drumbeat at the beginning of “Caesar Rock” tricks you into thinking this will be a straight up pop tune, until tempo and time itself downshift to reversed guitar and hand percussion. McCartney trades in his previously clean vocals for gritty and effected ones, with no pretty melody in sight. Overall, Egypt Station‘s value is indisputable. With an unwavering lyrical and musical focus timelessness, it would be difficult to create 16 tracks that all people can feel they relate to for the rest of time. It is beautiful to see McCartney as still capable of writing about things that are pedestrian in a way that is not completely contrived, especially after having been in one of the most famous bands of all time.